San Antonio — Andre Sandoval was born with a rare genetic condition. It was five months before his physician delivered a definitive diagnosis: he had a derivative of symphalangism, a stiffness of the hand caused when some of the finger joints are fused together. For Sandoval, a recent graduate of Trinity University in San Antonio, the condition hasn’t had a lasting effect on his life, nor did the time before diagnosis. Still, the timeframe could be more crucial to people with rare conditions that are difficult to diagnose and potentially more deadly, Sandoval thought. That idea led to building Cloud Therapy, a company he co-founded last year that has developed algorithms for processing hordes of data and uses IBM’s Watson artificial intelligence technology to comb through it all in order to, hopefully, more readily provide a diagnosis or insights about disease. Cloud Therapy is young, but it has already found some success. IBM has granted Sandoval and his co-founders unlimited usage of IBM Watson and its application programming interfaces for the next year and a half, free of charge, to better optimize how Cloud Therapy’s algorithms work with the artificial intelligence system, he says. And, after presenting its technology at a conference in Barcelona, the startup landed potential money-making partnerships with three companies: rare disease drug maker Alexion Pharmaceuticals, Denmark-based Leo Pharma, and Finnish telemedicine startup Meedoc. 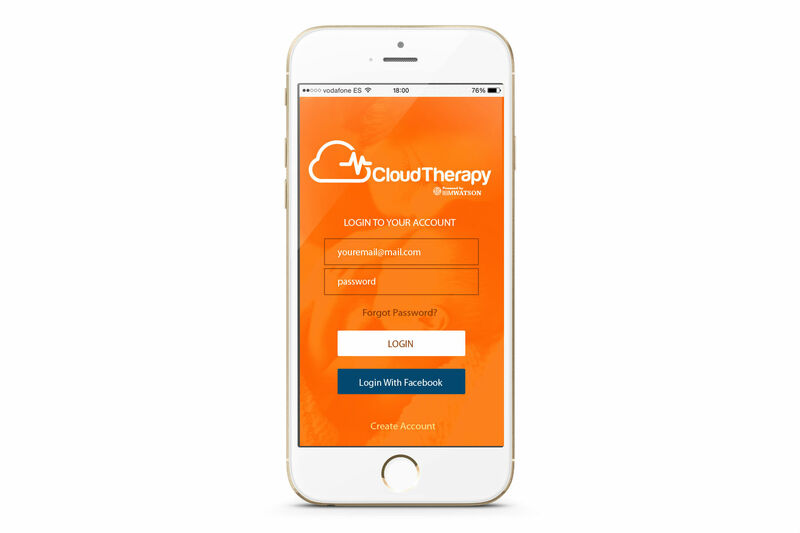 Cloud Therapy is currently in the process of developing pilot programs for its three prospective clients, which it hopes to implement in 2017, says Sandoval, the company’s CEO. The healthcare companies would use the algorithms that are the core of the Cloud Therapy system to comb through their mounds of data to potentially gain insights—Alexion has 13 years’ worth of R&D into rare disorders, Sandoval says. A key to the business is the ability to use Watson to better search the data; Cloud Therapy has built program interfaces that connect its backend tools to Watson. Cloud Therapy is “training” the AI system to improve the responses users get when they ask it a question about a disorder to try to achieve something like a diagnosis, Sandoval says. If all goes as planned leading up to the expected 2017 launch, the potential partners would start paying Cloud Therapy for use of its algorithms, either on an annual or monthly basis. In turn, Cloud Therapy would begin paying IBM for its use of Watson on a revenue-share basis, Sandoval says. The connection between Sandoval and IBM runs deep. His father is an executive at the company, and Sandoval himself is starting a job with IBM in Austin in July. He plans to relocate Cloud Therapy to the capital city, where he’ll continue to develop it along with his technical co-founders, Sebastian Guerrero, Christian Guevara, and Joao Valenzuela. Sandoval says he’ll be able to fulfill both roles at his startup and IBM, which does not own any of Cloud Therapy. For its work so far, the company has received growing recognition. It was selected as a finalist for IBM’s Global Mobile Innovators Tournament, which meant Sandoval was able to attend and pitch at the 4 Years From Now conference in Barcelona last February. The startup is a finalist for Trinity University’s $25,000 Stumberg Competition; it pitched last week at Startup Next (a “pre-accelerator” hosted by Geekdom and Techstars in San Antonio); and Sandoval is currently participating in a business training program hosted by Stanford University. The company is also in the process of applying for a grant to use the platform to research Zika virus, so that it can potentially help produce a cure to the disease, Sandoval says. In fact, Cloud Therapy was initially developed as a consumer-facing product, intended to provide people with information to answer questions about diseases like Zika, before Sandoval received attention from the pharmaceutical companies when he pitched in Barcelona. “It’s been quite a roller coaster since then,” he says.